Every shape, motif, and object in the TWA Hotel evokes a mid-century modern vibe. This isn’t because mid-century modern is a popular design aesthetic, though it is. Rather, the TWA Hotel was designed to mesh seamlessly with the iconic TWA (Trans World Airlines) terminal originally designed in the late 1950s by Eero Saarinen. The now-revamped terminal serves as a stunning lobby for the hotel. 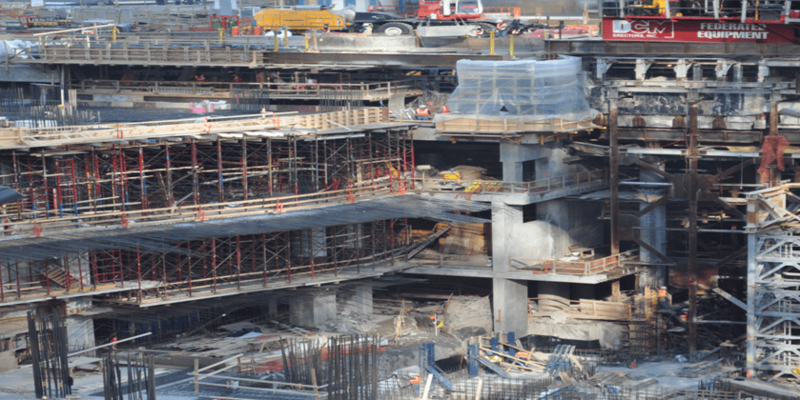 Chosen as the best supplier of frame shoring for building the hotel behind the famous TWA terminal, EDC was thrilled when the project broke ground in 2016. The hotel is scheduled to open in May 2019, and is JFK’s first on-site hotel. The two-wing hotel is located behind the gull-wing-shaped structure that now serves as the hotel lobby. Both curved wings of the six-story, low-rise hotel can be accessed from the lobby via two original flight tubes. Have an unusual reinforced concrete project that you need help with? Our experts are available to help you plan your construction project from start to finish. Please give us a call at 201-641-2880 or fill out our contact form. 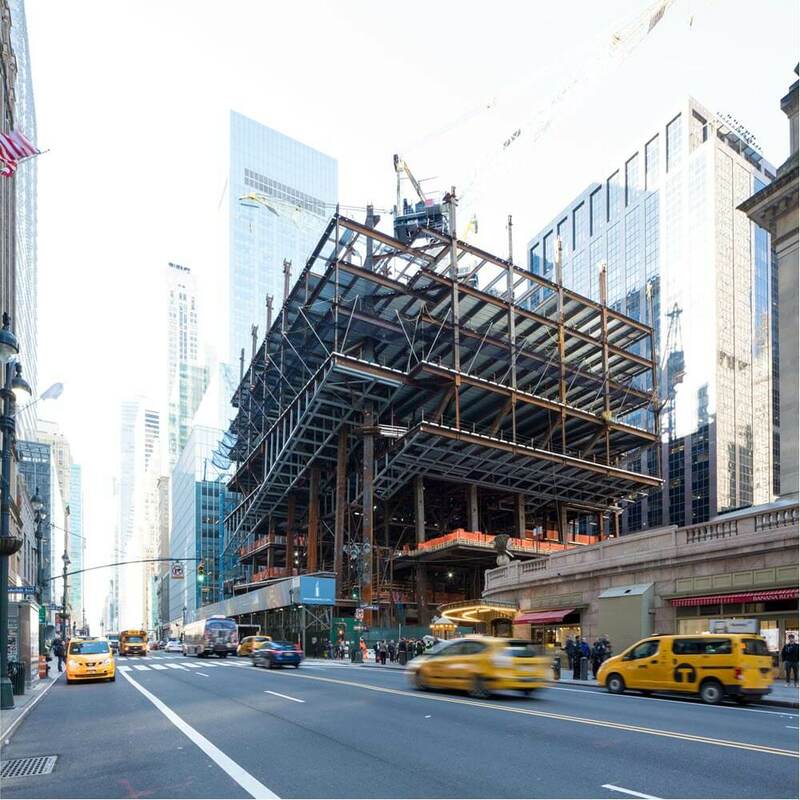 Requiring more than 70,000 cubic yards of concrete, One Vanderbilt is a professional office building that will soon be one of the tallest in New York City. 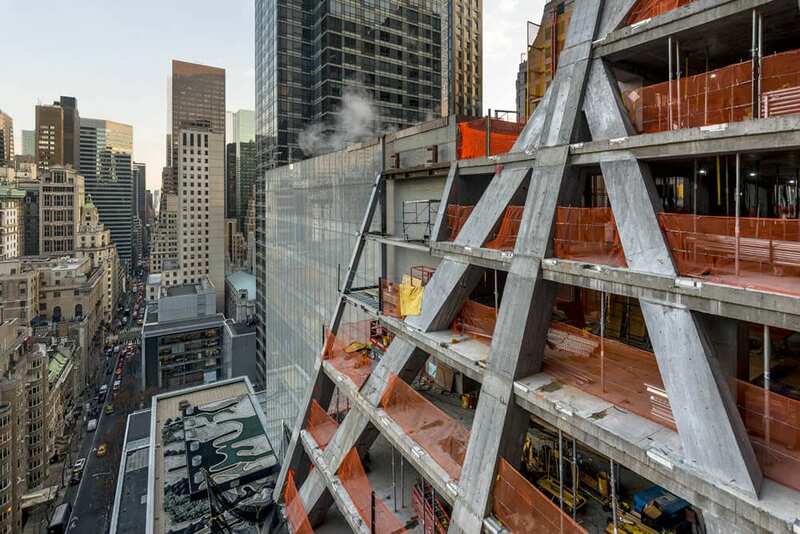 When completed, One Vanderbilt will be 1,401 feet tall with its spire (1,301 feet without the spire). 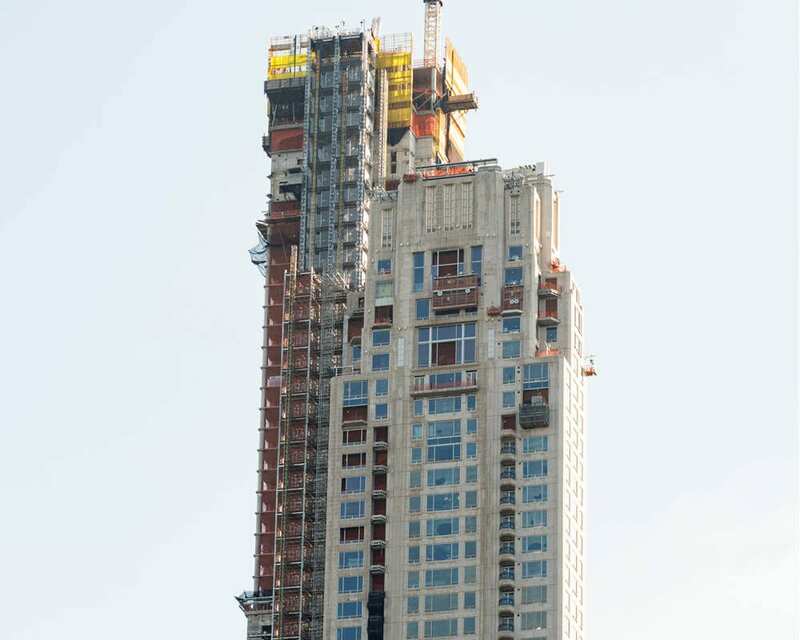 Along with the 53W53 residential building, One Vanderbilt’s height places it in the “super tall” skyscraper category. About 20 other New York City skyscrapers share that designation. 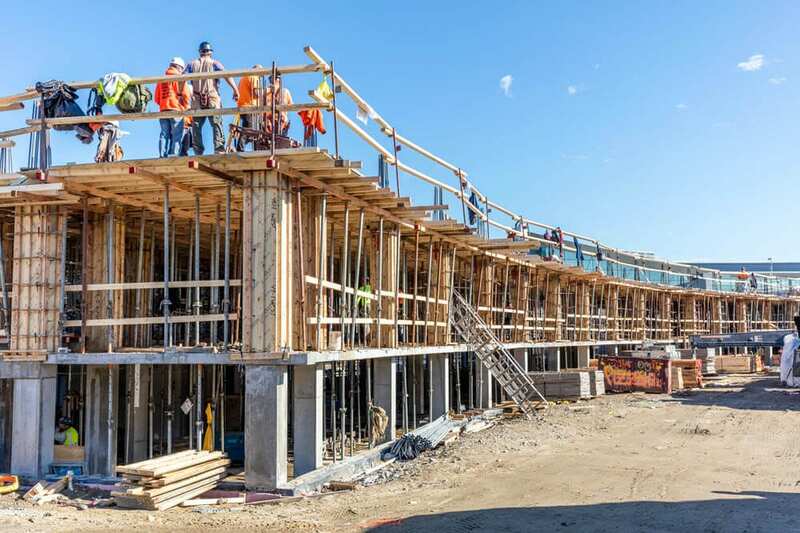 EDC was selected as the frame shoring supplier for this high-rise building, and the work began in the summer of 2017. The building is scheduled to be topped out in mid-2019 and completed by the end of 2020. 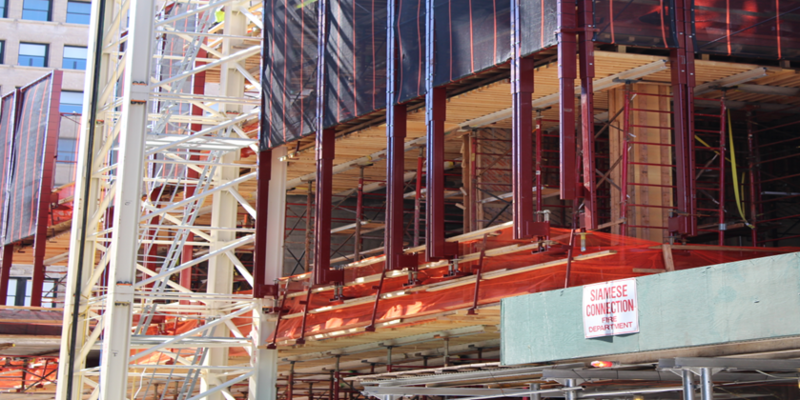 In providing the frame shoring equipment for One Vanderbilt, EDC was able to take part in a unique and unusual project. Although it’s among the 30 tallest buildings in the world, One Vanderbilt “only” has 58 stories. This is because the floor-to-ceiling height of the floors range from about 14 feet to 24 feet. The interior floorplans are free of columns. How can we help you with your reinforced concrete project? With 45+ years of experience, we rise to solve the toughest construction challenges. Give us a call at 201-641-2880 to talk to an expert or request a quote. EDC was chosen as reinforced concrete solutions contractor for a new NYC Department of Sanitation salt shed. The salt shed – which at 6,000 square feet is technically a warehouse – has an unusual exterior design for which EDC’s specialty concrete shoring systems were especially pertinent. The building, which has won (or been nominated for) a dozen architectural awards, was completed in 2015. The building’s cast-in-place concrete was a natural selection (no pun intended) because of its resistance to salt corrosion. The shed is designed to hold 4,000 – 5,000 tons of salt piled at least 40 feet high. EDC’s reinforced concrete products were indispensable for working with building’s thick, outward-sloping walls. 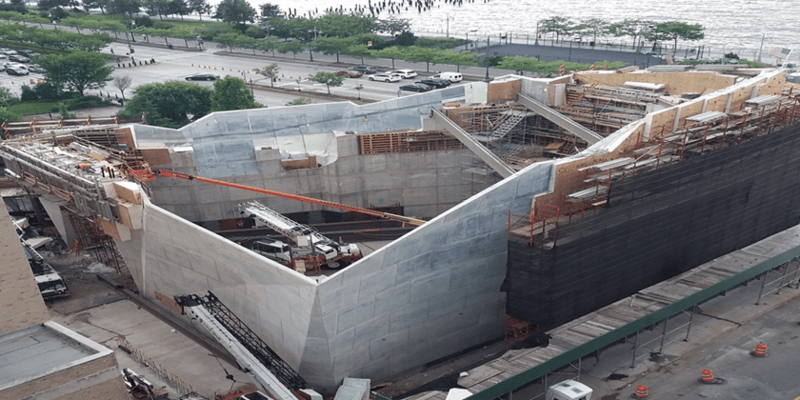 Although it’s a massive structure – over 70 feet tall on the side facing the Hudson River in Manhattan – the salt shed is definitely not a nondescript government building. Tapering toward the bottom, the crystalline, faceted planes bring to mind a grain of salt. Inside, the lower portion of the interior walls are lined with steel plating to protects the interior concrete from truck damage. The building is especially lovely outside at night with architectural uplighting that emphasizes its striking façade. 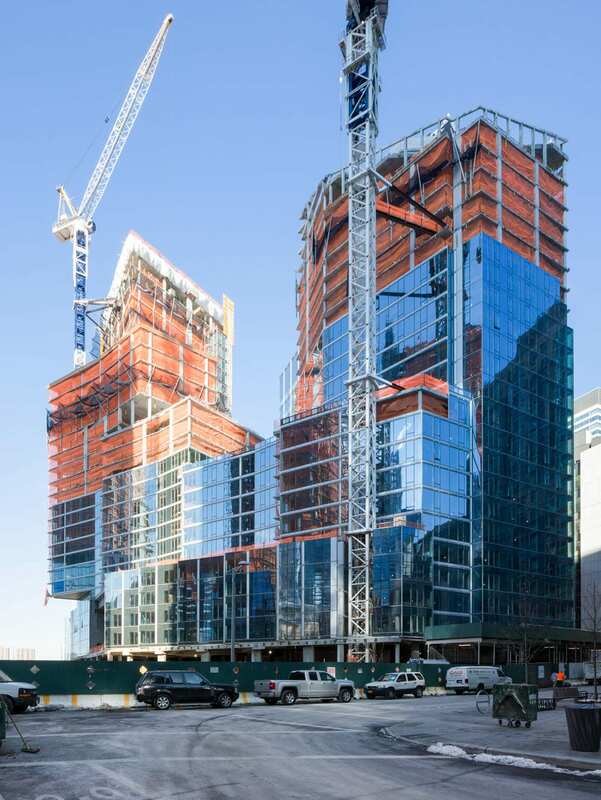 Need help figuring out the products needed for your high-rise construction project? We are here for you! Please give us a call at 201-641-2880 to talk to one of our experts or to request a quote. We look forward to serving you.